More from suburban St. Louis, post-Ferguson, on the popular notion that sports unites communities. Can the camaraderie of a team sport make race and class status “disappear” for the kids involved or their parents? 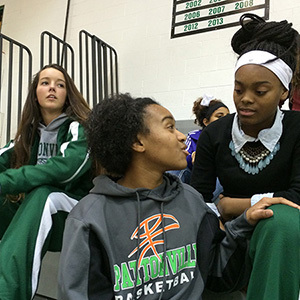 Scene on Radio host and producer John Biewen hangs with a girls’ high school basketball team to test the idea. 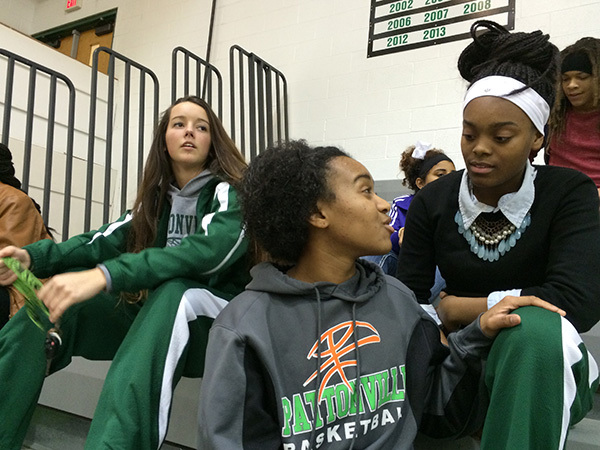 Photo: Pattonville High School basketball players (left to right) Cassie Callahan, Allyson Sanders, and Tyra Brown watch the B-squad before a home game in Maryland Heights, Missouri. Photo by John Biewen.